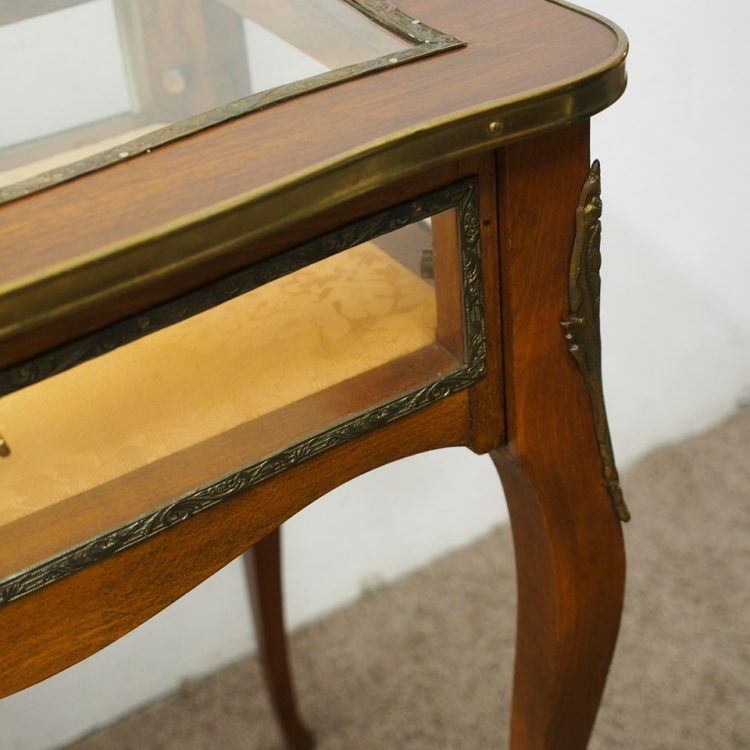 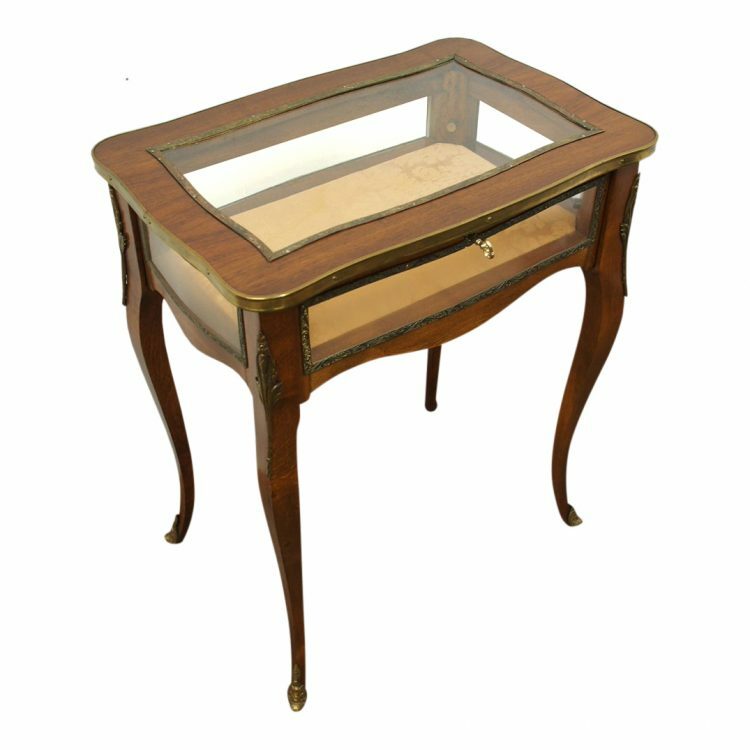 Circa 1920s, French Louis XV style glass and brass mount bijouterie table. 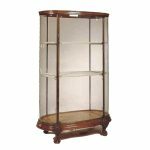 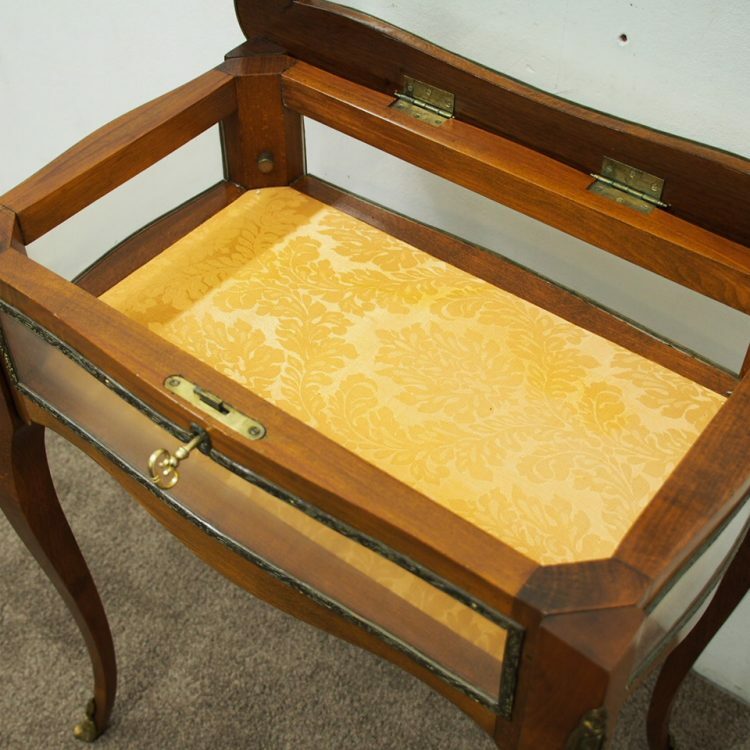 With a shaped and hinged top, brass edging, and a glazed section in the middle with a brass bezel with foliate carving on it. 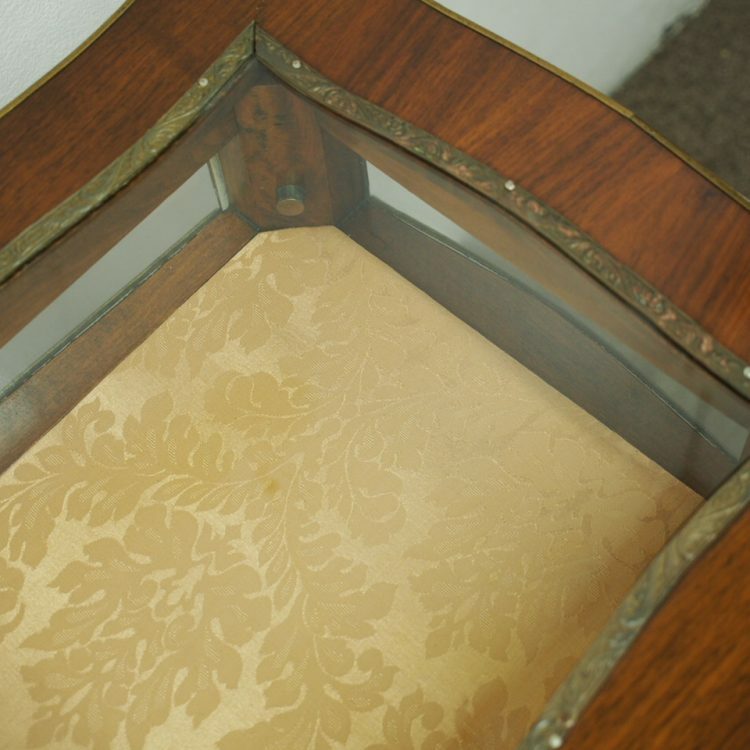 Inside are 4 glazed walls with a fabric lined base, and it has an elaborate key with a working lock. 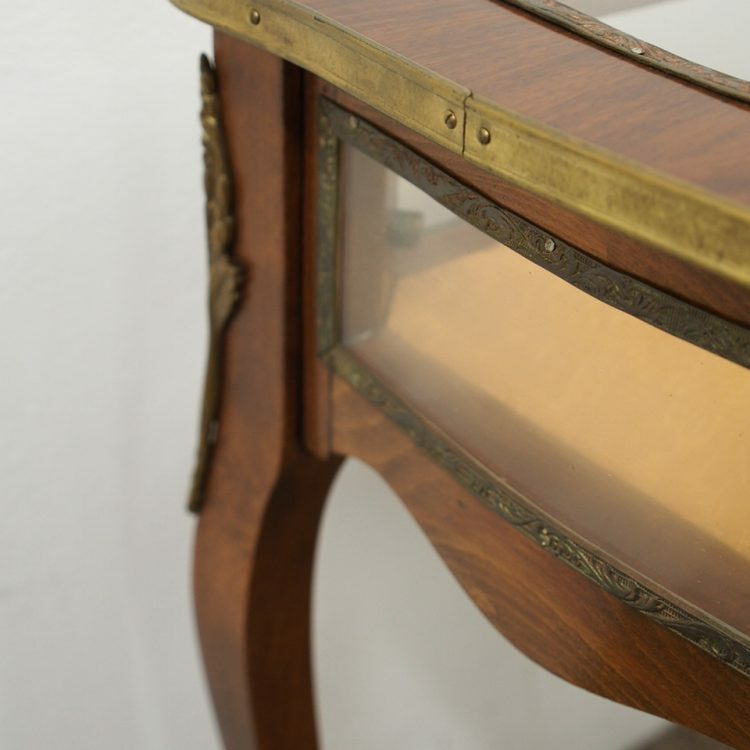 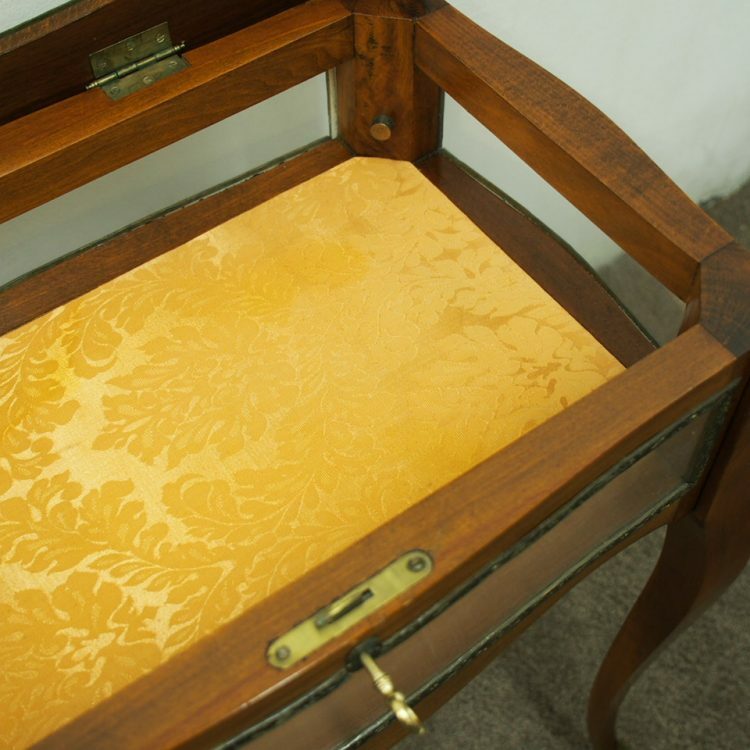 The glazed sections of the side are brass framed, and there are foliate casts to top of each leg. 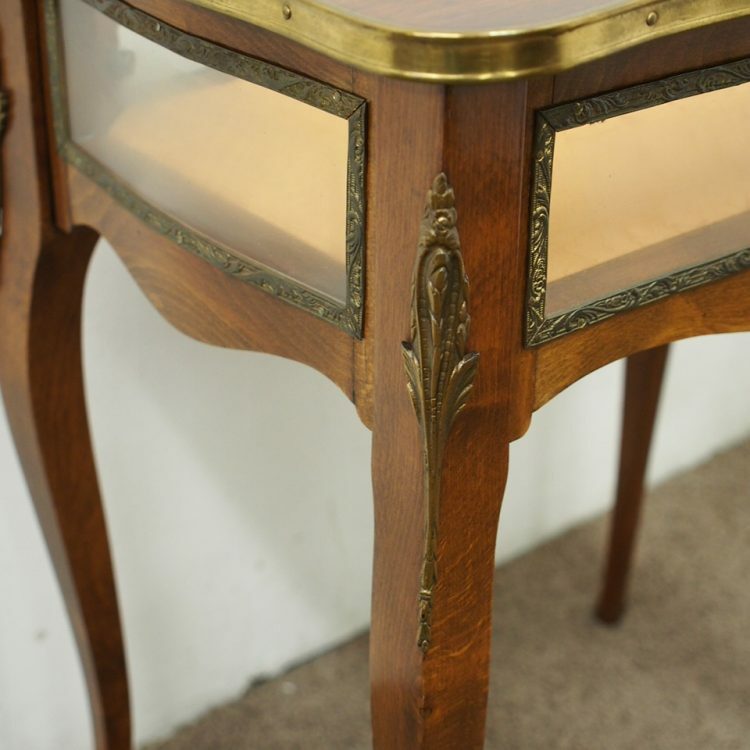 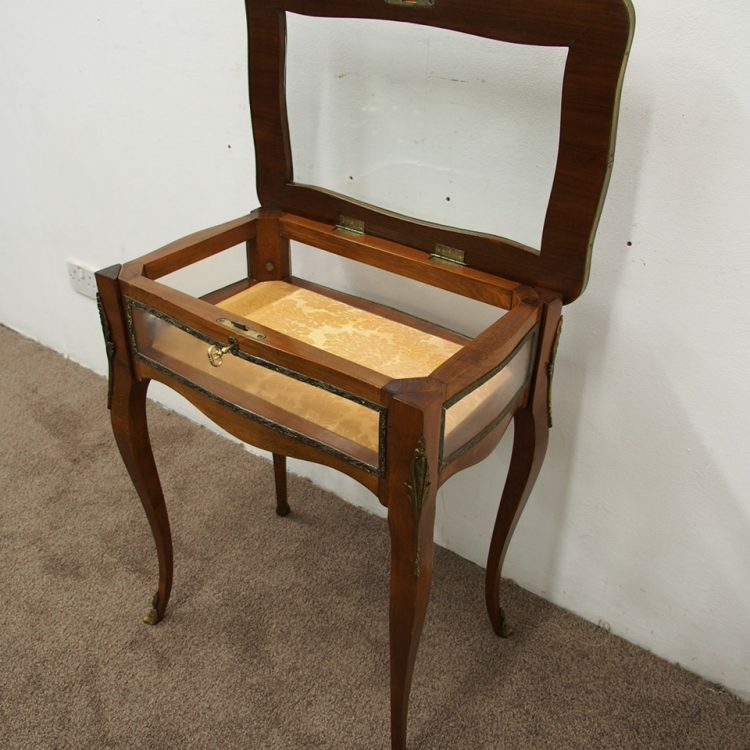 It stands on stained beech cabriole legs, with cast brass sabots to the bottom.